Q4 is finally here! Businesses are getting busy in prepping their holiday activities. Whether it’s a new promotion, brand activation, or new offers, the goal is to increase sales. 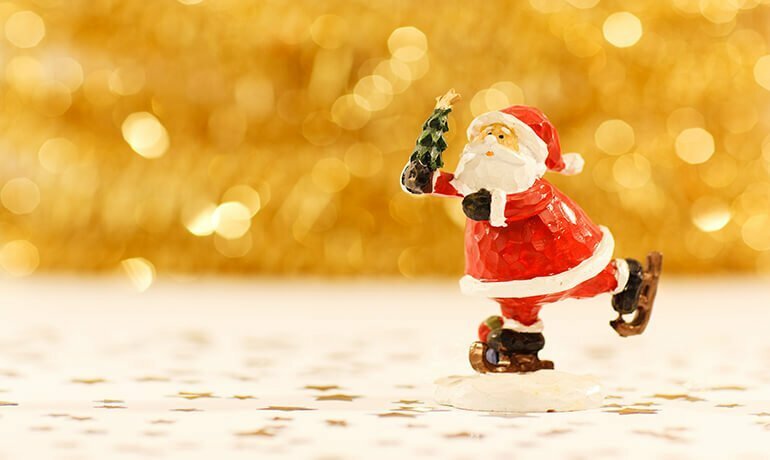 Now that we’ve hit October, and the holidays are fast approaching, I’ve got five ways you can start implementing them to your business. Google Analytics is one of the important tracking tools you should implement on your website. Even though you have a pretty brand new website, I always suggest having it installed. If your website is created long ago, it should be there by now. Google Analytics is a great resource to utilize in Q4. I suggest you monitor the A-B-C (Acquisition, Behavior, and Conversion). What pages are frequently visited and yielding the highest time on site? Where are you seeing the largest bounce rates? Where are people dropping out of the conversion process? Google Analytics will help you determine which channels are performing the best. Seeing the data on Google Analytics will help you decide what to products or services to push this holidays season. There are products or services that are selling based on seasonality. Using Google Trends, a fantastic tool to look at the trending information during the holidays, you can see the things people are looking for. 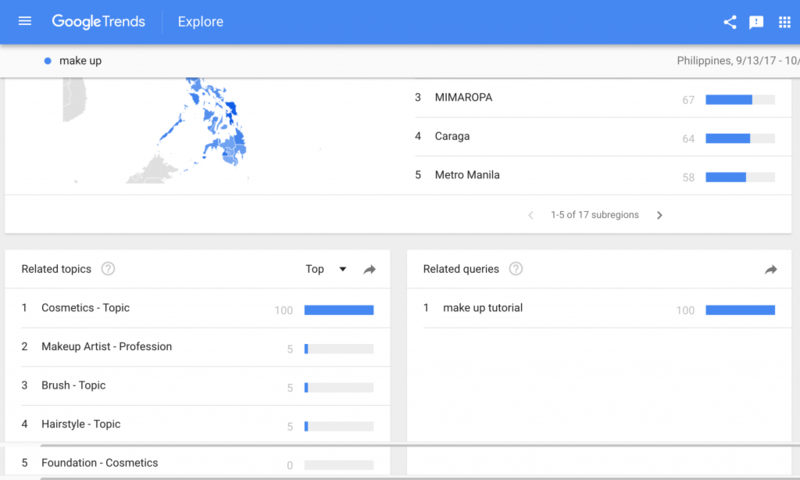 Below is a screenshot of Google Trends for the keyword “makeup”. You’ll see the related topics around the keyword “make up”. It will also show you the locations who are searching it the most. As an agency providing PPC services, we are a fan of Remarketing. If you want to learn more about the power of Remarketing, this article is worth reading. Once you set up the lists, you can create a strategy to the people inside the list. Today is a mobile-first economy where people can shop easily online using their smartphones. Brands are also launching mobile apps to support their current marketing strategy because they believe that it will bring them more sales. In the rise of messenger bots, people can connect with businesses or brands without leaving the Facebook. These will help you get in touch with your target customers and make them feel that you always around and willing to serve them. During the holidays, we are expecting the surge of customers and after-sales. In the business, customer service or after-sale is very important. An online chat on your website is a huge help to take your customer service to the next level. 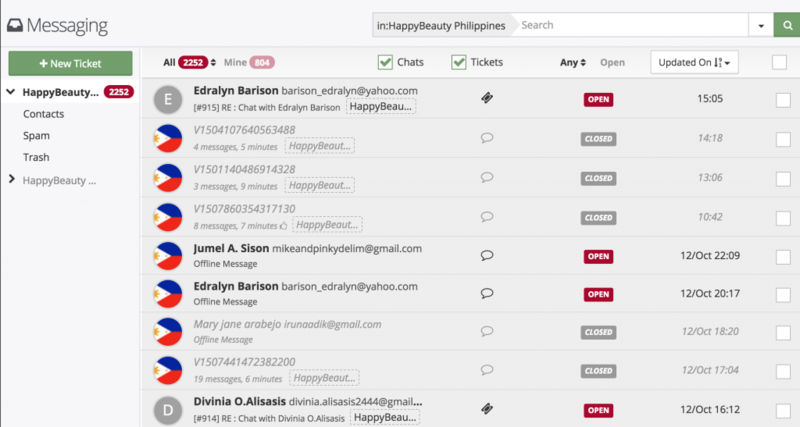 An online chat is useful to eCommerce site or any B2C businesses. It builds trust and credibility to your business. I recommend tawk.to for your customer service which we are using right now for an eCommerce client. Below is a screenshot of the tawk.to dashboard. What are you working on to boost your holiday sales? Have you implemented any of the ways mentioned above? What were the results? We’d love to hear your thoughts. Please share in the comment below.